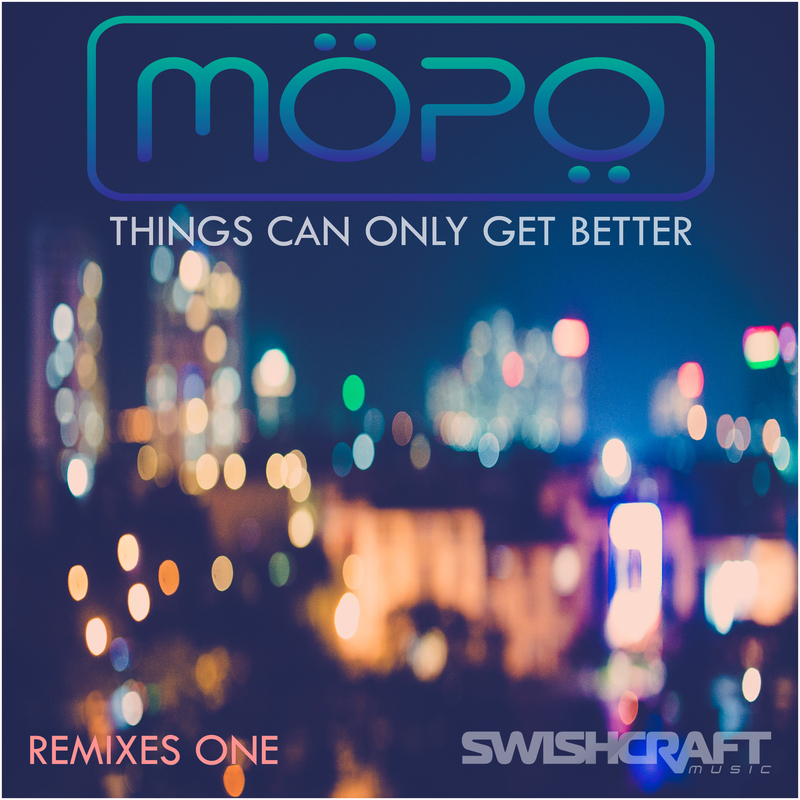 Swishcraft Music is excited to introduce the debut release from MOPO, the newest addition to our roster. Based out of Melbourne, Australia and founded by chart topping, Nick Jay, MOPO kicks things off by taking on the iconic D:REAM classic, “Things Can Only Get Better.” A track with a positive message as timely now as it was when it shot to #1 in 1993. While originally a European radio and club hit, peaking at #1 in the UK & #7 in the US, as well as Top 10 throughout the rest of Europe, Australia and New Zealand, “Things” took on new life and a new meaning as it became the theme & rally cry to so many world elections from 1994 – 1998, as various countries were in turmoil and were trying to bring about understanding and change in their world and in their governments. Twenty-Three years later this track and its sentiment could not be timelier. The Original MOPO club & radio mix, with it’s impassioned vocals, stays true to the original piano driven D:REAM classic , while Nine additional remixes & radio edits, spread out over two Remix EP’s reinterpret this track for modern dance floors, including a darker peak time house direction of the Nick Jay Club & Dub, the Pop Radio friendly Shahaf Moran Club and peak time, piano driven Supervixen Club Mix, the peak time Circuit Anthem by Brett Austin, the darker electronic pulsating beats of the Tech House Mix by The Funky Truckerz, the down and dirty, funky Nu-Disco mix by Luscious Lowe, the Big Room Euphoria of the Tim Graham Club, the two bubbly 90’s retro, string & piano heavy Ross Alexander Club and Rinaldo Montezz Remix. EP #1 & #2 debuted across all digital retailers & streaming services (iTunes, Amazon, Beatport, Traxsource) on Nov 04, 2016.